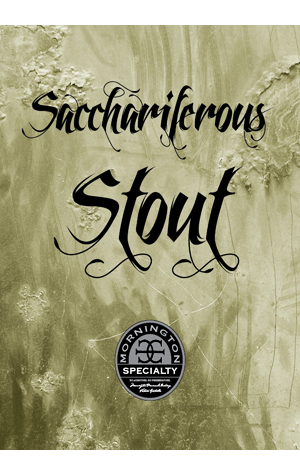 If there's one thing Mornington Peninsula Brewery does particularly well, it's dark beers. OK, so it does lots of beers very well, but any lineup that includes their Brown, Porter and Imperial Stout is a winner in anyone's books. For the winter of 2015, they're adding a few more too. A black lager came and went without us noticing (oops) but we were back on the case with a new stout.